During the development of Statement, Naims flagship amplification system, the companys engineers realised that they would need to design a whole new range of high-performance cables for it to reach its true potential. With this in mind they began a development project to design interconnects and speaker cable that would meet Statement standards of performance. Through a deep understanding of material science and after thousands of hours testing in the listening room, the Super Lumina range was born. Super Lumina speaker cables are designed to minimise the effect of external and internal interference sources and preserve maximum signal fidelity. The fundamental cable design consists of several individually-insulated multi-strand silver-plated copper conductors of varying diameters enclosed in a tin-plated copper shield. This is all enclosed in a soft outer jacket which facilitates easy installation whilst minimising microphonic interference. Each signal, return, ground and shield conductor is individually manufactured for its specific function. 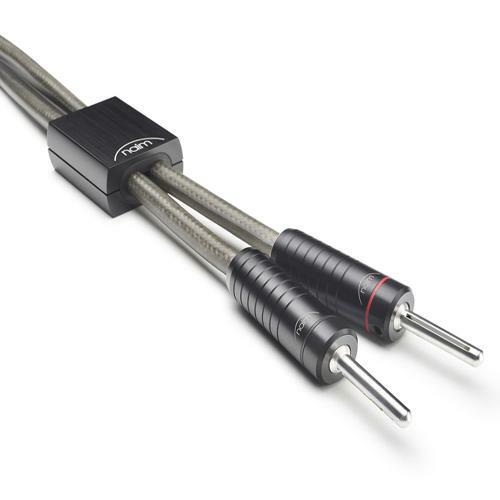 Designed to maximise the performance of Statement but equally at home in 500 Series and Classic Series systems, Super Lumina speaker cables are available with 4mm or spade connectors.